Derek Ramsay and Angelica Panganiban are cool-off? Home » Angelica Panganiban » Derek Ramsay » Showbiz » Derek Ramsay and Angelica Panganiban are cool-off? It was first announced on Yahoo! Philippines OMG!, actor Derek Ramsay admitted that he and actress Angelica Panganiban are in a "cool-off" stage. The celebrity lovers have 6-years of relationship until they hit this complicated spot. According to Yahoo! Philippines OMG! Derek told this issue over the phone on May 2. But the actor clearly said that there's no third party involved on their relationship problem. Derek also said that they haven’t talked to each other since Holy Week. But he will make time out from his busy schedule to speak with Angelica as soon as possible. 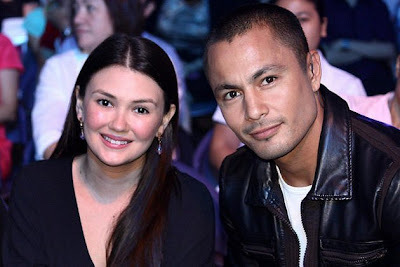 Comments or suggestions about "Derek Ramsay and Angelica Panganiban are cool-off?" is important to us, you may share it by using the comment box below.